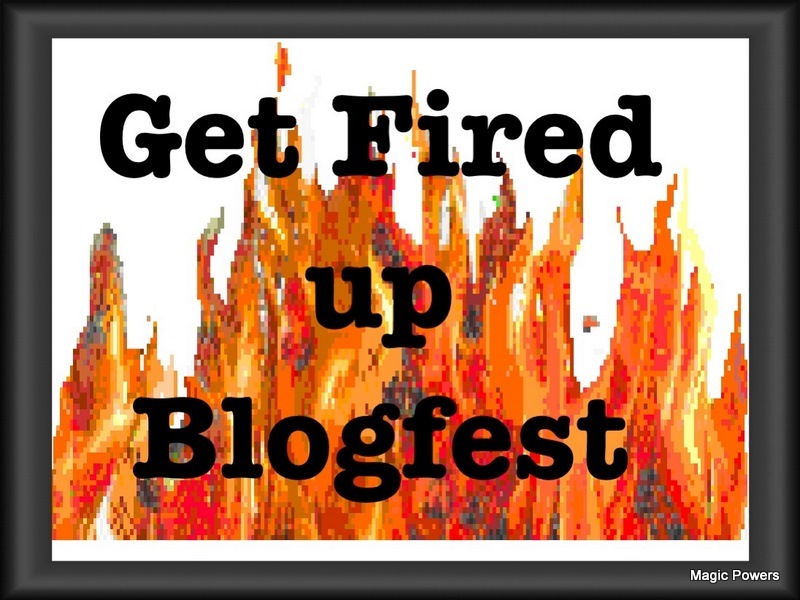 After you read this please scroll to the bottom to read about my Get Fired Up Contest. Make sure you are signed up for the amazing prizes. 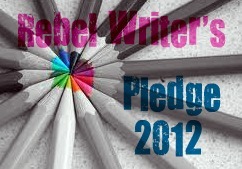 Sheri Larson at Writers Alley is hosting this blog hop to rebel against our views from last year that hindered us from reaching our goals, and give us a new insight and fresh start. .Well, I already missed the boat. I have got to become more organized and get my priorities in order. We were supposed to write a post on Monday, January 23rd, listing our goals for 2012, and highlighting one goal. Then our lovely host is going to compile a list of the goals we contributed to the group and post them for all to see. We will leave the pledge badge on our site as a reminder of our goals. Sheri is doing this to join us as writers committed to achieving our goals and supporting each other throughout the year. 1 . I will complete my manuscript revisions within 30 days and begin querying. 2. I will research the literary agent that I want to query. 3. I will not overextend myself. I will learn to say no when necessary and I will not obligate myself to anything unless I am positive that I can fulfill the commitment and I have my calendar with me or whatever I need to refer to for scheduling. I will do this to ensure that I am able to do the act I am agreeing to And I have with me at the time a method for adding this responsibility to my calender/reminders/alerts. 4. I will stick to a writing schedule because I get too easily distracted. 5. I will attend the New York Pitch Conference and Workshop in March and try to attend the Backspace Writers Conference in May. 6. I will treat my writing as a job and not a hobby. When I work as a lawyer that will be my priority, but when I work from home as a writer I will treat my writing as a career. I will not watch television, surf the net or work in my pajamas all day, (this will be hard-I never knew how much I would love working in my p.j. 's) but there is something to be said about feeling more professional when you look the part. Have you signed up for a chance to win a Kindle Fire or a 2 hour plot consultation from Martha Alderson? You still have time. And if don't want to do any type of blog mentoring. You can still win several prizes including a $50.00 Amazon gift card, two of Martha Alderson's books, Scrivner Software and more. All you have to do is leave your name & email in a post. Your # 6, sticking to a schedule helps. On Mondays and Wednesdays after work, I sit in Starbucks for a good three hours and write. Since blogging and reading others blogs, I limit my mornings to such. And Friday and Saturdays, I do a marathon read. When I'm revising, I'll beta-read for others. Yup. You've got to make it like another job. What a fun but serious business this blogging thing can be! Great goals. #6 is very important. If you're doing it as a hobby, don't even waste you time querying agents. That's better left for the professionals. Which is what you're going to be with your attitude. Awesome! I love your goals! Especially not overextending yourself. I SO need to do that! Best of luck accomplishing all of them! I am forever reorganizing and reevaluating my priorities. Good luck with your goals! What's wrong with working all day in your pajamas? Those are great goals. If I hadn't already written mind, I may be tempted to steal a few. I like the not overextending yourself and treating writing as a job. Woohoo! Those are awesome goals Melissa! I hope you make everyone of them. I can so relate to your #6 Goal! This is probably my top goal for the year, I absolutely MUST stop treating writing as a hobby and stop the tv watching, surfing the web, etc. All of your goals are great and very similar to what I want for myself. This pledge is a wonderful idea! 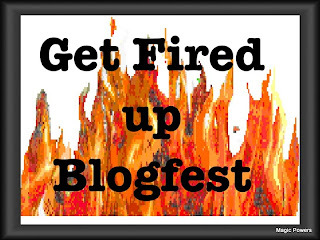 Have to check out the Get Fired Up Blogfest now, sounds fantastic! I also wanted to thank you for your great comments on my social media post, it's so helpful to know there are others who struggle with it like I do. Thanks for sharing your insight! Find out how THOUSAND of people like YOU are making a LIVING online and are fulfilling their dreams right NOW.